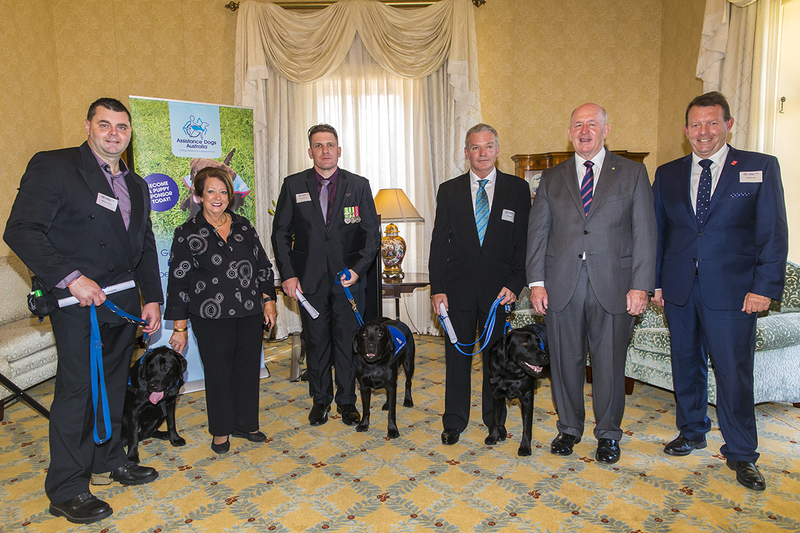 On April Fool’s Day the Governor-General Sir Peter Cosgrove and Lady Cosgrove reunited with some canine friends when they hosted a very special morning tea at Admiralty House. 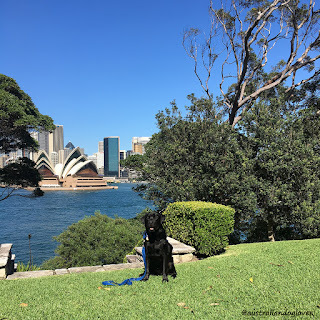 Two years ago, two black Labrador puppies were named General and Cosgrove (or Cossie) after one of Australia's most senior military officers, Governor-General Sir Peter Cosgrove, in a ceremony in Sydney. "I think the fact that a dog is undemanding but always there and always connecting with you, that must be great comfort to somebody who sometimes feels alienated from the rest of society. Charlie, Benji and General are graduating today: their loyalty will be unconditional and they will help break the ice in social situations. 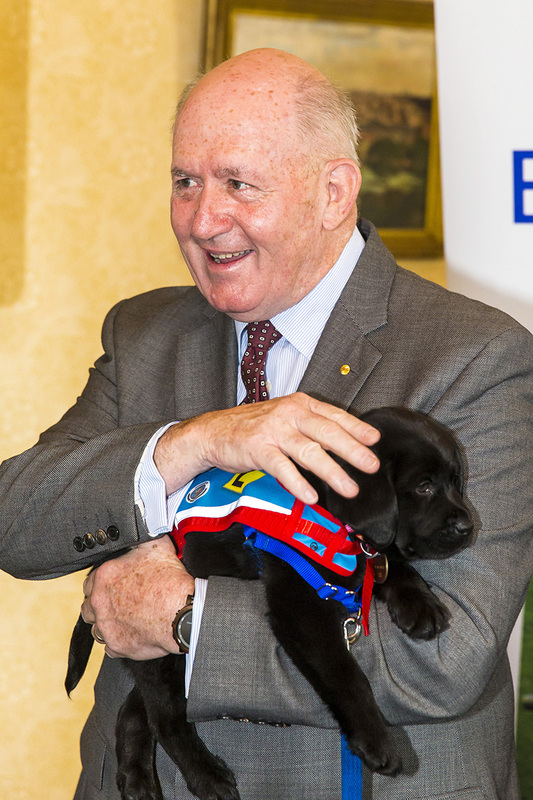 If we all had an Assistance Dog, the world would be a better place" said Sir Peter Cosgrove. Whilst General passed his tests with flying colours, Cossie has a long way to go but the Governor-General encouraged him to "stick with it, mate! This is not a sprint but a marathon" drawing smiles from the audience during his heartfelt speech, showing he clearly is a dog lover himself. These assistance dogs went on to undertake two years of rigorous training. The puppies were first raised by two inmates at the Frank Baxter Juvenile Justice Centre at Kariong for a year - as part of the Pups in Prison Program - before being returned to professional trainers to learn higher end tasks. "First they've got to learn to be obedient, good social dogs and then they learn the specific tasks required for say someone in a wheelchair, picking up a dropped item like mobile phones or some keys, pressing the button at traffic lights," Assistance Dogs Australia chief executive Richard Lord explains. Matthew Connor was paired with Assistance Dog Charlie. After 16 years of service in the NSW Police Force, Matthew retired in 2010 after being diagnosed with PTSD. He found that having an energetic friendly Labrador motivated him to take regular walks along the beach and also provided great comfort in social situations. Andrew Tebbit who served in the military for 16 years - including two deployments in East Timor - was happily paired with Benji. By complete coincidence, Grant Newton, an ex-sergeant with post-traumatic stress disorder (PTSD), who served with the Governor-General, has recently been paired with General, one of the dogs named after his former commander! 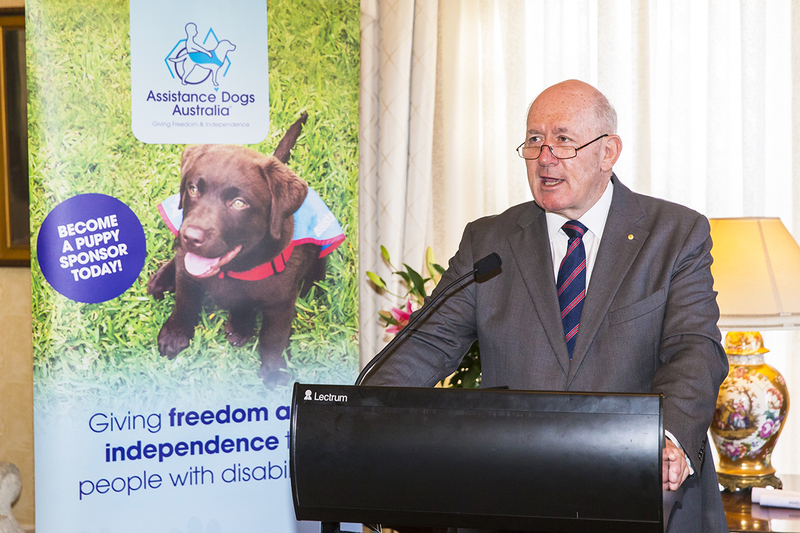 Grant speaks highly of the Honourable Sir Peter Cosgrove, Patron of Assistance Dogs Australia: “the men always referred to Sir Peter as the diggers' General.” Their previous meeting was over 10 years ago. Several other first responders suffering from PTSD and recipients of Assistance Dogs also attended this event. "A lot of these people are on high alert from coming from a service background or an emergency service background, having the dog there seems to calm them down, they feel safer that they've got a dog looking out for them. They can lean on the person, help wake them up, they can even go turn the light on" Mr Lord said. To sponsor a Super Puppy today, please visit www.assistancedogs.org.au or call 1800 688 364.